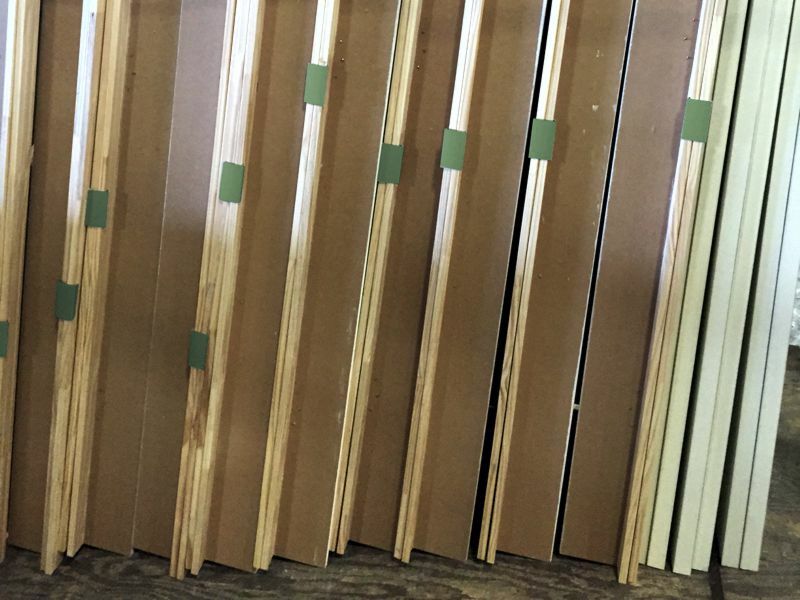 AMP Genuine brand is manufactured with our Power Twist® pulling power designed to improve the mitre joint quality in woodworking door framing assemblies. The Power Twist® patented design pulls the joint tightly together giving greater performance strength. Manufactured from high quality steel, and applied with a propriety silicon, allows for smooth penetration into the frame joining material. 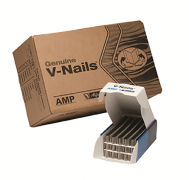 The 7, 10, 12 and 15 mm sized V-Nails come in two grinds while the 3 and 5 mm sized V-Nails come in a medium/hard grind only for use with soft, medium or hard materials. Free shipping on orders of $1,000 or more within the 48 contiguous United States. We offer high quality Door Casing Klips for the flat jamb market. We have standard size and a JUMBO size Door Casing Klips. The PVC Door Casing Klips allow the trimmers to clip the second hoop to the hoop nailed to the jamb. This protects the good faces of the trim from damage while being transported. It also insures that each door is shipped with two complete casing hoops. 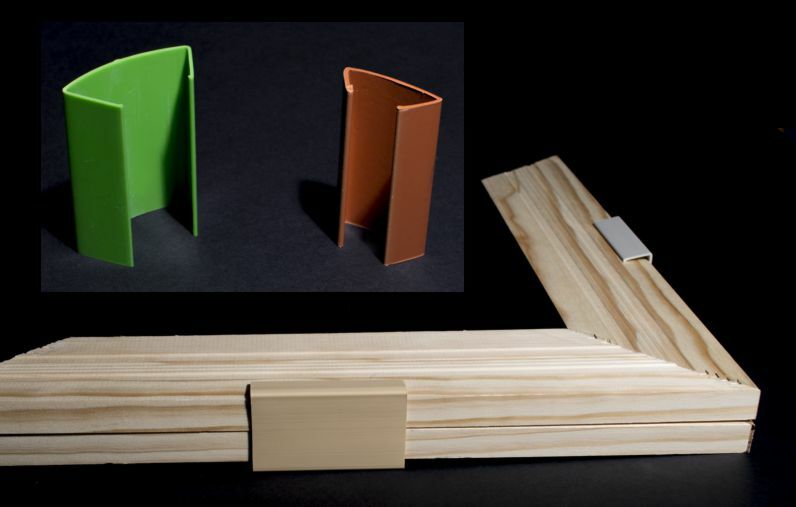 Standard Door Casing Klips hold a combined casing width of 1 to 1 1/3 inches thick. Sold in boxes of 1000 klips each. JUMBO Door Casing Klips hold a combined width of 1 1/2 to 2 1/8 inches thick. Sold in boxes of 500 klips each. The Simms Machinery “easy bolt on” Head Rack is included in the Underpinner V-Nailer Toolkit and is also available for individual purchase. This convenient rack makes your operator more efficient by keeping up to 50 heads within easy reach over the back of the machine. 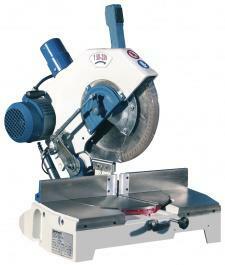 The T-400 Saw is designed to cut 45 degree mitres for door and window casing . The T-400 can handle all wood, and plastic materials with a moulding height up to 3 ½” (80mm) and a moulding width up to 4″ (100mm). 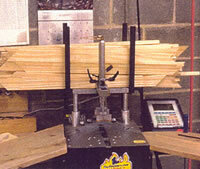 High quality, commercial grade saws that creates a clean, accurate cut with consistent angles. 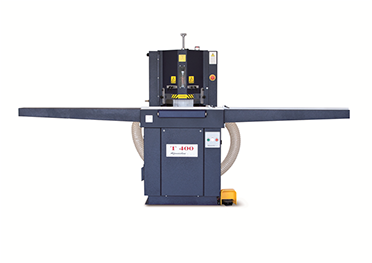 Precision mitre saw features OMGA’s durable, cast-iron construction and includes a rotating table and self-centering locking system for 90°, 45°,30°, 22.5°, 30°, 15°and 10°for both right and left cuts. it has a manual locking device for all intermediate angles. 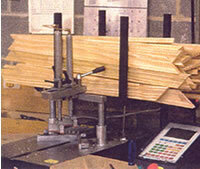 The heaviest duty of all model of OMGA’s Precision Mitre Chop Saws (along with the T 53 370). It features a solid cast iron base and head construction. The rotating table rides on roller bearings for maximum smoothness and accuracy. Positive stops at 45, 30, 22 1/2, 15 and 10 degrees on both sides of the rotation and an independently fine tunable one at 90 degrees. A manual locking device for all the intermediate angles provides a great flexibility to this unit. The belt driven transmission and a powerful 3 HP induction motor make of the T 50 350 the ideal tool for heavy duty industrial usage. This machine is designed to be fitted with a wide variety of optional accessories to make it perfect for any application. This precision saw is a multi-purpose machine suitable for use in general carpentry, for cutting moulding, picture frames, furniture components and any application requiring precision cutting. The GlideStop features a patented Indexing System along with a hairline sight gauge, smooth travel, and an array of accessories. 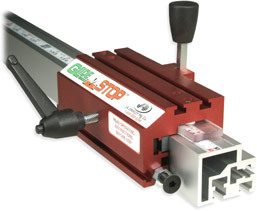 The GlideStop has custom, user defined, presets that provides consistency and accuracy that other manual stop systems can’t match.